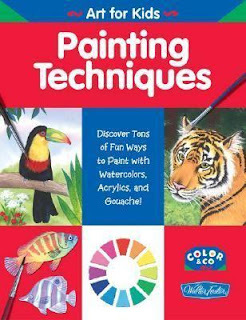 Open this book and enter an imaginative world of painting, where you can learn to create fantastic works of art, step by step! Inside you'll find a collection of cool projects, from a high-flying snowboarder to an adorable pup. Just trace the patterns at the back of the book to get started. Then follow the steps to learn exciting new painting techniques with watercolors, arylics, and gouache! Full of colorful illustrations and simple instructions, this book makes learning to paint an ultra-enjoyable adventure! Series specifications: Paperback, 40 pages, 8-1/2" x 11"